The Streichfett String Synthesizer is a brand new string synthesizer made by Waldof. 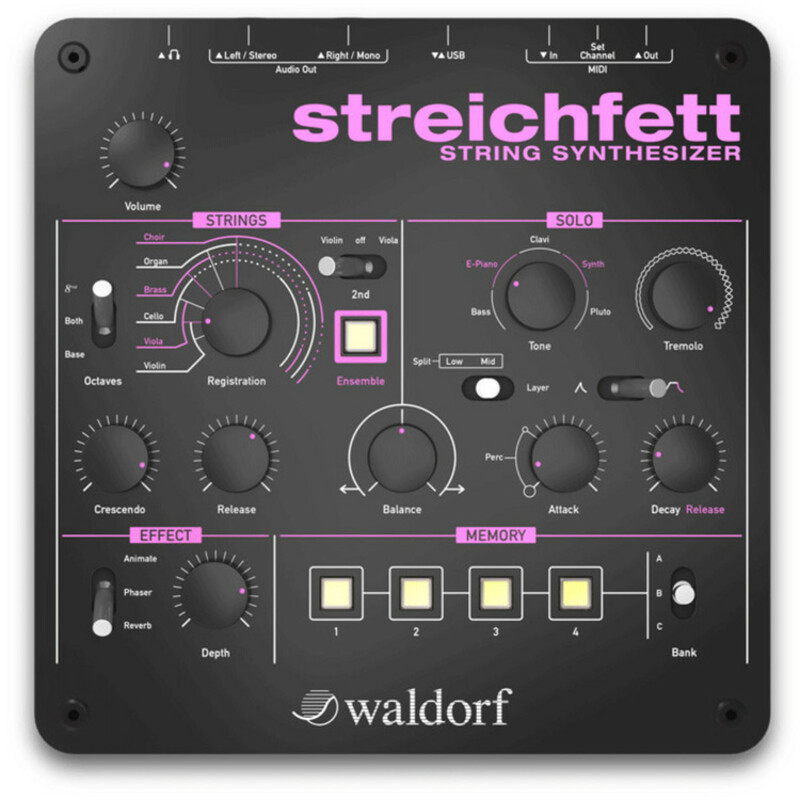 Based on String Synthesizers from the 1970's-1980's the Streichfett String Synthesizer delivers a unique variety of tones in a compact sleek design. Fitted with a dual sound engine allowing it to efficiently process a polyphonic string section and a monophonic solo section simultaneously the Streichfett String Synthesizer has a large range of options when it comes to fine tuning your tone. 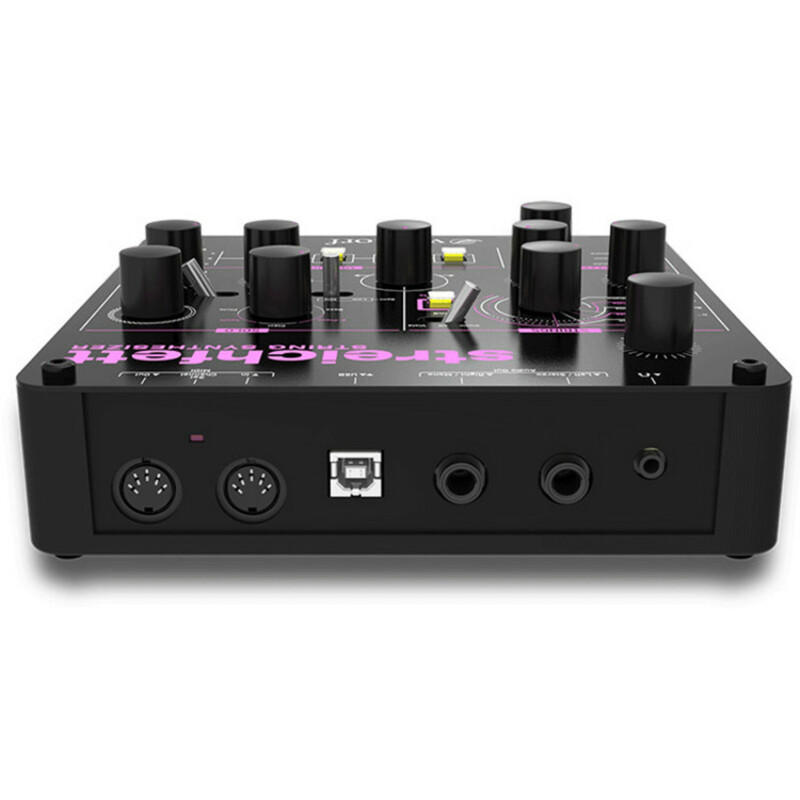 Containing factory installed presets on board the device it also gives the user the opportunity to create and save up to twelve of their own sound settings. The Solo Section offset presets named Bass, E-Piano or Clavi, and just like in your typical string machine, the sound has little to do with that name. Instead, these are shimmering and slightly percussive sounds that blend well with the string section. Although the User Interface is simple and easy to comprehend, it controls a rather complex sound engine which is capable to deliver rich and creamy pads unlike any other instrument. Twelve patches can be stored and selected in the Memory section, USB and MIDI are of course on board.